Minecraft 1.10 – The Frostburn update brought along some new crafting recipes. While version 1.10 does not bring a lot of new crafting recipes, there is a few you should know about. The Magma block, is a light-emitting block found in the Nether. When stepped on, it causes fire damage of 1 damage every tick. If you sneak on a Magma block, you will not take any damage. Nether Wart Blocks are largely used for decorative purposes. They can not be used to store nether wart. Red Nether Bricks are another variant of the Nether brick. They do not naturally generate in any biome at the moment. Bone Blocks are mostly for decorative purposes and can face in different directions. Can be used as compact storage for bone meal. 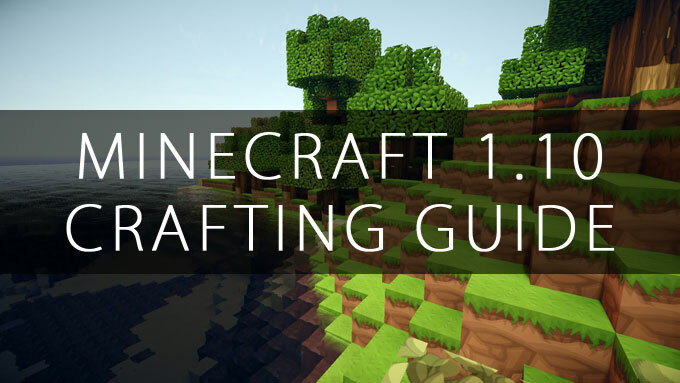 You can find all Minecraft crafting recipes, including version 1.10 on www.minecraftcraftingguide.net.